NJ Paleo Girl: Are these well-disguised fast foods sabotaging your weight loss? Protein Shake: Unless you made your protein shake yourself with coconut milk, a high-quality protein powder (optional), almond butter and seasonal, organic berries, your shake is definitely not going to bring all the boys to the yard. And if it’s like any of the shakes I saw on the menu at the Bay Club the other day, it’s full of sugar, juices that most likely contain high-fructose corn syrup, protein powders made of soy (aka estrogen), non-organic, cheap and hard to digest dairy products and whatever fruit they could get in bulk that day. So although a protein shake might seem like a healthy meal replacement, most protein shakes are the equivalent of drinking a big glass of sugar. If you’re going to drink your calories (which can speed up the process of them turning into body fat), make sure the foods you use are high-quality, high in healthy fats and as low-glycemic as possible. Health Food Bar: Oh the elusive health food bar. Overly-sweetened, made with cheap ingredients (many of which you simply can’t pronounce) and for the most part, not a healthy snack. 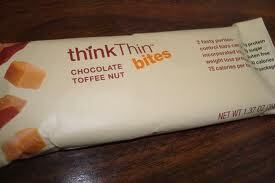 Think Thin, for example, a very popular gluten-free bar, contains soy, whey protein, table salt, soya lecithin and even chocolate liquor. In other words, the last thing you should reach for when you’re hungry and in need of a healthy snack. If you’re in a pinch and need a bar, try a CocaChia bar (made with chia seeds, raw chocolate and coconut) or the Coconut LaraBar (the least sweet of the LaraBars in my opinion). But really, the less bars, the better. 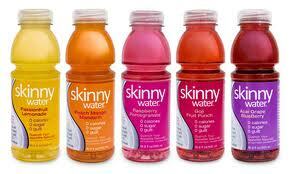 Flavored Water: Hint waters, Gatorades, even some coconut water/juice blends – all junk foods parading as health foods. In fact, a bottle of Gatorade contains upwards of 50 grams of sugar – not what you want when you’re working out and trying to lean down! And for those of you who just like to add some flavor to your water, stay away from water flavoring products, such as the new MiO liquid water enhancer from Kraft. While it’s designed for consumers who want to add a little life and personality into their water, it sadly adds only sugar, artificial colors and various other toxic non-foods. The only thing you are designed to drink is water. Clear, clean water. Baked (or popped) Chips: A potato is a very high-glycemic food that causes your insulin levels to sky-rocket, leading to increased body fat, overeating and bloating. 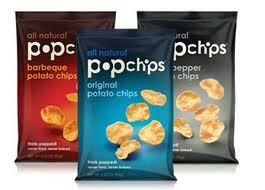 Pop Chips for example, the current leaders in the “we’re healthy” chip campaign, have whey (a milk byproduct), vegetable oils (highly inflammatory) and “natural flavors” (which can mean anything from MSG to high fructose corn syrup) on their ingredient list. In other words, stay away. If you’re craving a crunch, try Mary’s Gone Crackers or apple slices. Regardless of what the food industry wants you to believe, chips - even when unfried - are not a healthy snack. So remember, if it wasn’t here 10,000 years ago, required a focus group and/or has ingredients that you can’t pronounce on the label (or even if it needs a label), the chances are pretty high that it’s full of sugar, overly-processed and essentially, junk. As Paul Chek says, "If you eat anything that's less alive than you are, to the degree that it's less alive than you, you have to spend your own life force turning it into human tissue. The longer anything lasts on the shelf, the more dead it is. Remember, you're turning over 2 million blood cells per second....what did you make them out of? Doughnuts? Coca-cola?” Not me. So here’s to making smart food choices, supporting real slow foods, shopping at your local farmers markets and questioning the herd. I agree with the article. It's better to make your own protein shake to ensure that you are getting natural protein nutrients. 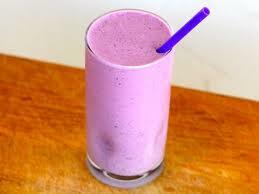 You can make a banana blueberry protein shake. It tastes delicious and very healthy as well. I always buy Protein products only from reliable stores. This assures me to get the worth of my money as well as good and desirable results. I always go to the gym so I need to supplement myself with great protein products to help me build some muscles and lose some unwanted fats and calories.